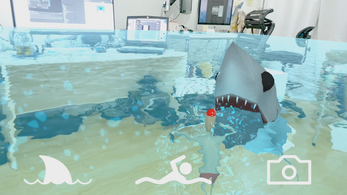 This AR virtual pet shark simulator allows you to bring a pet shark into your reality. 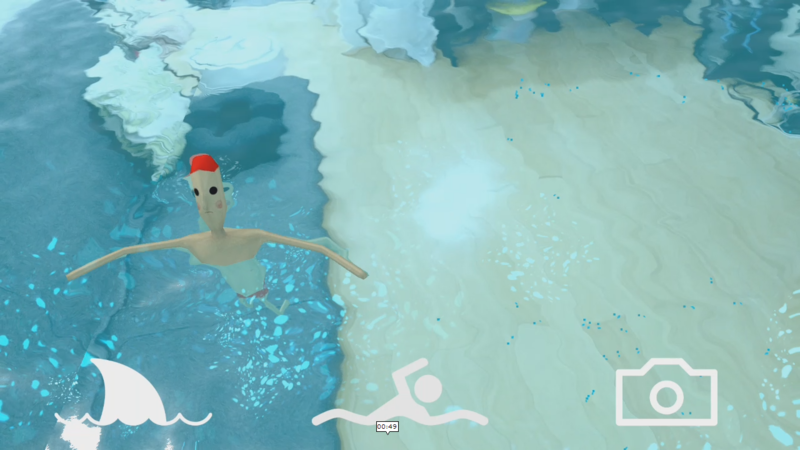 Watch it swim, leap, hide-and-seek. Drop some swimmers in the water and see what it does. For Android devices: Pixel and Pixel 2, Samsung Galaxy S7, Samsung Galaxy S8, Samsung Galaxy Note8. 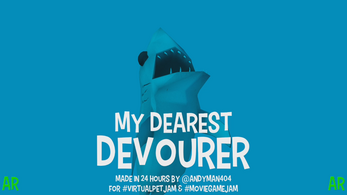 Made in around 24 hours for #VirtualPetJam and #MovieGameJam (inspiration: Jaws, 1975). 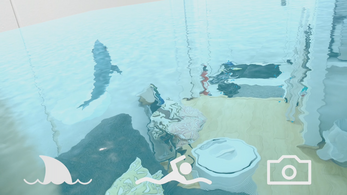 Tap the shark icon to set the water level and place your pet shark. If the water or shark disappear, then just tap this icon again. 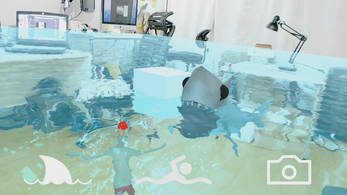 Watch the shark swim around, and sometimes make aerial leaps. Sometimes the shark plays Hide-and-seek with you. Tap the swimmer icon to drop a swimmer into the water. The shark will sometimes try to eat the swimmer or just sneak up and startle the swimmer. Tap the photo icon to pause the game and hide the user interface. You can now move around and take screenshots with your device's screenshot control (varies by device). Tap the screen again to resume. Music: Depassionated Tango Loop by Kevin MacLeod (incompetech.com). Creative Commons by Attribution 3.0. Source Files: Really bad, messy, intentionally awful, quick-and-dirty throwaway source files that you do not want to see: here. 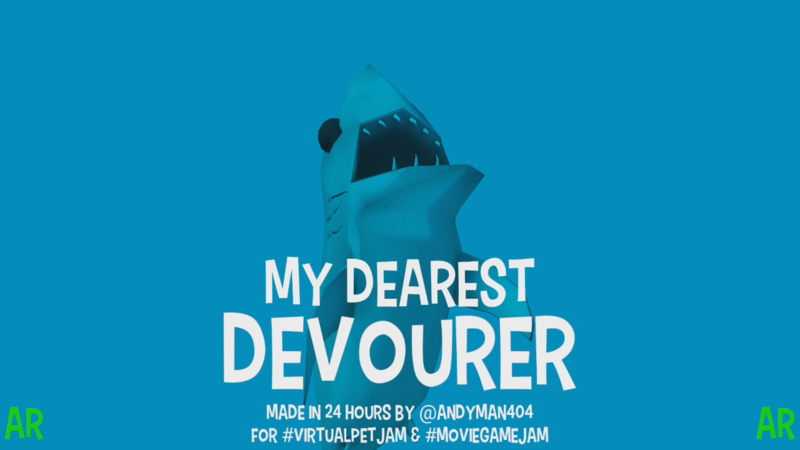 For quick game jams, I intentionally write godawful throwaway code so that I don't become attached to it or over-engineer it. It's the key to fast jamming.